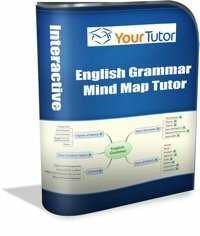 This edition focuses on OpenSource Mind Map Software and our upcoming Mind Map Tutor on English Grammar. Our Learning Management Program continues to deliver value beyond our expectations. As I mentioned last month, it has also been translated into Chinese. A few months ago, we, at UsingMindMaps.com, decided to use Opensource Software and chose XMind as our software of choice. 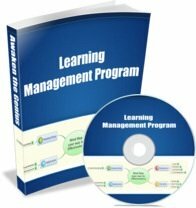 The interactive Mind Map of the whole Learning Management Program and the Ebook, was done in XMind and it contains summary branches and the full text of the whole Ebook. As far as I know, nothing like this exists anywhere. Choosing XMind was a tough decision to make, as it forced us to endorse a product, which we intentionally stayed away from initially. Our decision was based on the fact that we wanted to get as many people using Mind Maps as possible. And the only way we could do this easily was by encouraging the use of free software. The barrier to entry was therefore lowered and anybody with a computer could start using Mind Maps. The great thing about XMind is that it runs on all platforms, Windows, Mac and Linux. The interface is virtually the same on all platforms and the files are interchangeable. Mind Mapping can therefore be put into the hands of many more people. To promote this further, we will be providing free downloadable, interactive Mind Maps in XMind format on many topics to get you started. This will allow you to explore Mind Mapping in a safe, fun way and also get you to know the product at the same time. Our blog, MindMapTutor.com, will soon become the face of our online shop, where you will be able to download free and premium Mind Maps. We will still be blogging on the site. We are just adding additional functionality to give you easy access to our products. The front page of the blog is being gradually changed, so please bear with us as we go through this change. We are sure the slight inconvenience now will result in a better, easier, more accessible website. Sign up to Using Mind Maps on Facebook. The Facebook Page is growing slowly, but surely. We are currently researching how we can make Facebook better for you. I'm sure the results of our research will ensure a better Facebook experience for you. Currently, the tips on our blog are also posted to the Facebook page, in case you prefer to follow updates via Facebook. If you love Facebook, having UsingMindMaps updates in your Facebook news feed is unobtrusive, yet handy. There are also some links to videos on our Facebook page. The videos serve to support the principles in the post. We are also in the process of building our Album of sample Mind Maps. So don't hesitate, become a fan of our Facebook page today. I've started Tweeting more regularly. As I am very active in the online Mind Mapping community, you will get updates and links to important information as I come across it. I am also constantly researching the latest information on Lifelong Learning and how to use Mind Maps more effectively. You will be the first to hear my thoughts and opinions on these subjects. Nothing beats Twitter in getting information and updates to you faster and easier. As mentioned in our opening paragraph, we are promoting the use of XMind, which is free OpenSource Software. XMind also offers you a premium version, which you can use for advanced applications of Mind Mapping. All the Mind Maps that we provide can be used with the free version. Our Mind Maps will have the main topics on the main and sub-branches of each Mind Map. These branches serve as the Basic Ordering Ideas. These branches will then serve as triggers for the detailed information. Often, by memorising theses branches, you will naturally be able to recall the details, as your mind naturally want to fill in the blanks. If a topic is too big to fit on one Mind Map, we create an overview Mind Map and provide links to detailed Mind Maps. You can also add your own thoughts and details to the Mind Maps - putting you at the centre of the learning process. XMind also allows you to add pictures and hyperlinks to web pages and other files. You can therefore build up a comple learning portal of the subject - all in XMind itself. You don't need another tool. You can also export to various formats, including BMP, JPG, PNG, GIF, RTF and Text. You can also export to FreeMind, another free OpenSource Software tool. This provides you with the ability to not only share your Mind Maps with many people, it also allows you to include it in other documents, like presentations, Word documents and lots more. If you really want to explore the power of Mind Maps, while having fun, download XMind today. We are busy developing an interactive Mind Map Tutor for English Grammar. It will serve as a guide for anyone using English. The guide assumes that you have a working knowledge of English. It is not designed to teach you the language, but it will serve as an indispensable aid to anyone learning, or using, English. This product is unique and will serve as an interactive guide to the language. So keep a lookout on our Blog , Facebook and Twitter for updated information as it arrives. We plan to launch it around Mid-November 2010. Till next time...Start using OpenSource Mind Map Software today!